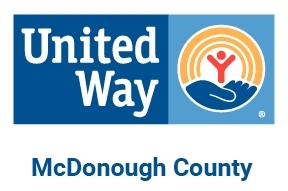 We are focused on assisting community-based and community-led programs and agencies committed to improving health, educationm and financial stability in McDonough County. ​Prairie State Legal Services provides free legal assistance to low income individuals and seniors. Samaritan Well is a homeless shelter for women and children and a separate home for men. Wee Care Center provides day care services on a sliding level, based on income, provided the parent is attending school or working. WIRC Victim Services provides support services to victims of abuse, including legal support, counseling, transportation, emergency sheltering, children’s programming and more. Advocacy Network for Children provides a forensic interview for children who have been abused. This interview is videotaped and admissible in court, so the child does not have to go to court. Big Brothers Big Sisters matches volunteer “Bigs” with children needing mentors. Money is used to pay for background checks on potential volunteers and activities for group functions. Court Appointed Special Advocates pairs a volunteer advocate, via the court system, with a child whose been found to be abused or neglected. The advocates report back to the courts to ensure protective orders are being carried out. Girl Scouts and Boy Scouts ensure every child that wants to be a scout is able to do so, regardless of financial limitations. PACT Headstart provides Headstart and Early Headstart programming for low income families, including home visits, parenting information, family literacy, health and nutrition services and more. Colchester Area Relief Effort (CARE) provides food to those in need. Additionally, they prepare take-home bags for kids who might otherwise go hungry over the weekend. GIFT Garden grows and distributes fresh produce to area food pantries. McDonough County Seniors provides five sites throughout McDonough County for socialization, entertainment, exercise and meals for Seniors. WIRC Food Pantry provides food to hungry individuals. Center for Youth an Family Solutions provides counseling to anyone regardless of inability to pay.